Avery Elle Clear Stamps STORYBOOK Set ST-14-12 at Simon Says STAMP! ST-14-12 or 021358 /1.5 This item is on reserve until If you would like to reserve this item now, you may purchase it now with the rest of your order. We will hold your order now and ship your entire order as soon as this item is back into stock. If you would like your order to ship now, please place this item on a separate order. 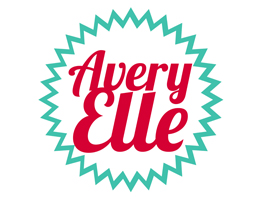 Success, Avery Elle Clear Stamps STORYBOOK Set ST-14-12 has been shared! 4 x 6 inch Storybook clear photopolymer stamp set is adorable and perfect for those special occasions! Use the hand drawn critters to create baby shower inviations and decorations, birthday cards and more. Consider using the coordinating Storybook Elle-ments Dies to create perfect cut outlines of your stamped images every time! Welcome Little One sentiment measure: 2.375 x .50 inch.